Financial planning is the process of creating a vision for your future and putting together a framework to bring it to reality. As a crucial component for financial success, your plan is a roadmap for achieving your life’s goals. Financial planning goes far beyond the numbers. It helps you be purposeful and strategic in how you will use your time and financial resources. Planning is not a one-time activity. Your plan is continually monitored and, if required, adjusted based on your changing needs throughout life. 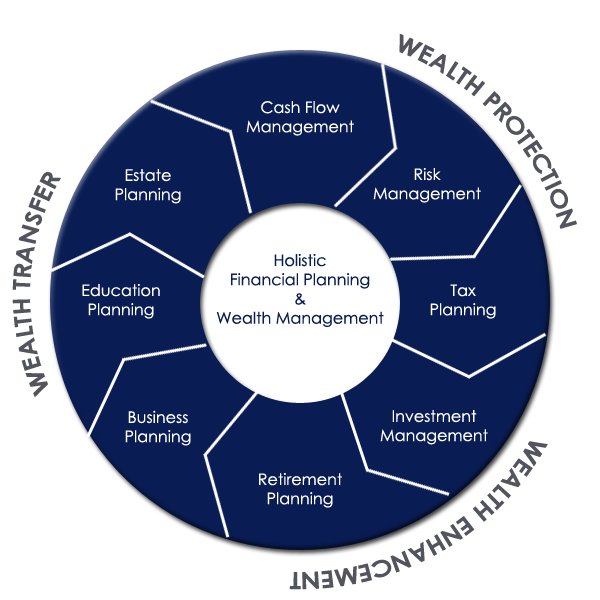 Below is a partial list of topics covered by financial planning. How much do we need in an emergency fund? Should I use a Roth IRA? How much do we need to save for retirement or college?